I'm moving onto HTC One M9 plus. My cellphone wont let me do anything because my contact storage has stopped.I've tried everything but it just keeps popping up can anybody. Help please!!!! frustrated, 22 Sep 2012I just purchased this phone less that 2 weeks ago and am pretty disappointed. The network has ... moreYou are very funny... You expect 15MP for the camera? aniketh, 16 Oct 2012which one's better?htc one v or lumia 710?I've never been a fan od Windows Phone, but in the past months I've liked it a bit, and I would still always go for Android. So, 100000%, always, and I mean always, if you like fun, reliablity etc, you go for the One V.
which one's better?htc one v or lumia 710? Hi, I got my One V & when i receive file via bluetooth, it gets saved in phone memory, But i want default to be saved in memory card. Or at least ask me where to save. 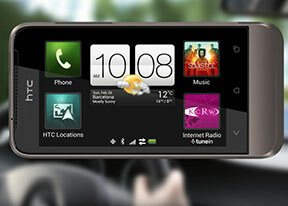 How come my HTC One V from virgin mobile doesn't have fm radio? I dont have the app for the radio and i dont want to use internet radio.